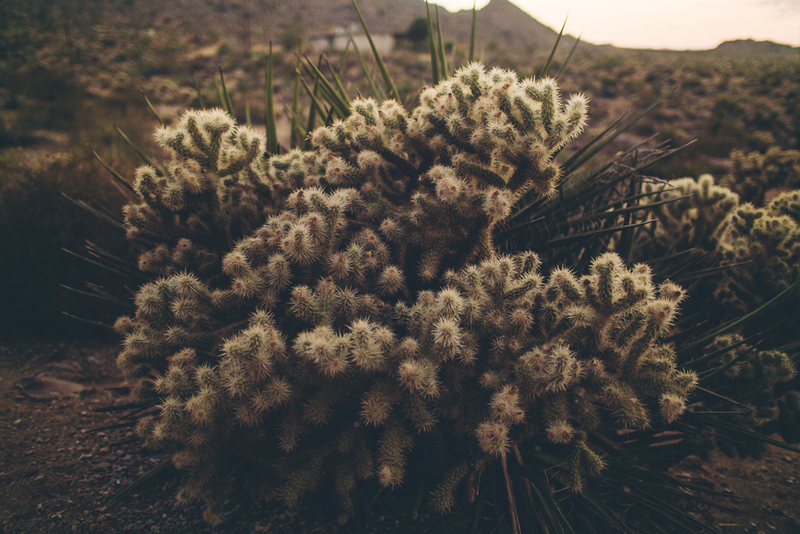 Where do I even start with Joshua Tree? My time there was a change of pace, a breath of fresh (and sometimes dusty) air amongst the craziness of our trip so far and the craziness that was still to come. 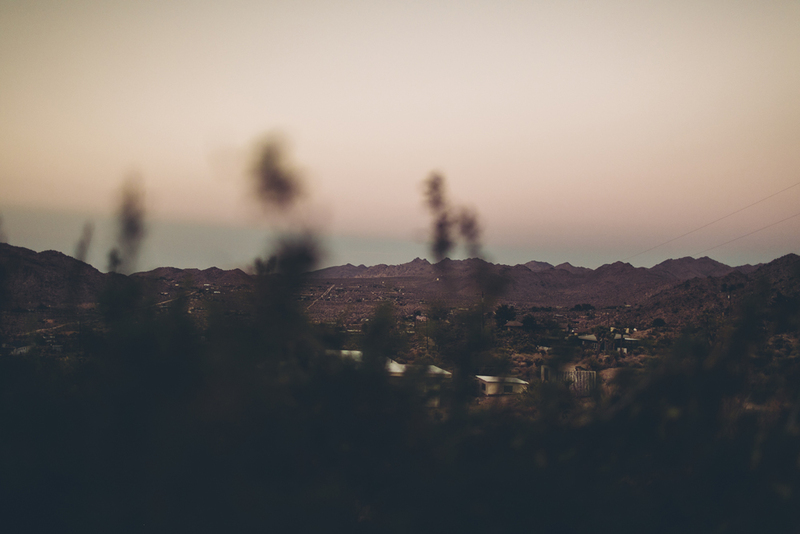 The air is still, the heat relentlessly hot, but I felt at peace and a sense of overwhelming calmness and inspiration when I’d sit at the front of our house watching the landscape around me. 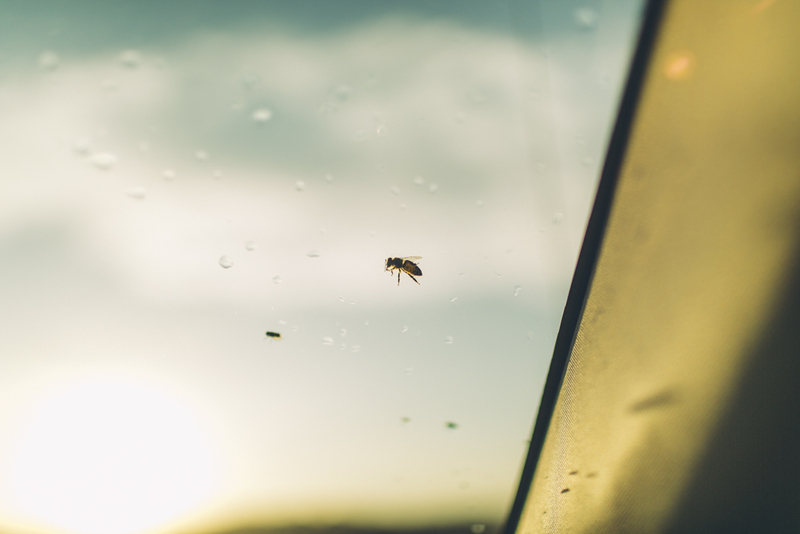 My eyes were constantly glued to our car window and I felt a sense of nostalgia the moment I was there for a place I’ve never been to before. The best way I can describe Joshua Tree is magic. Maybe the magic there lies within the fact that the further you’d drive away from the city of Los Angeles, the more it started to look like a different world. 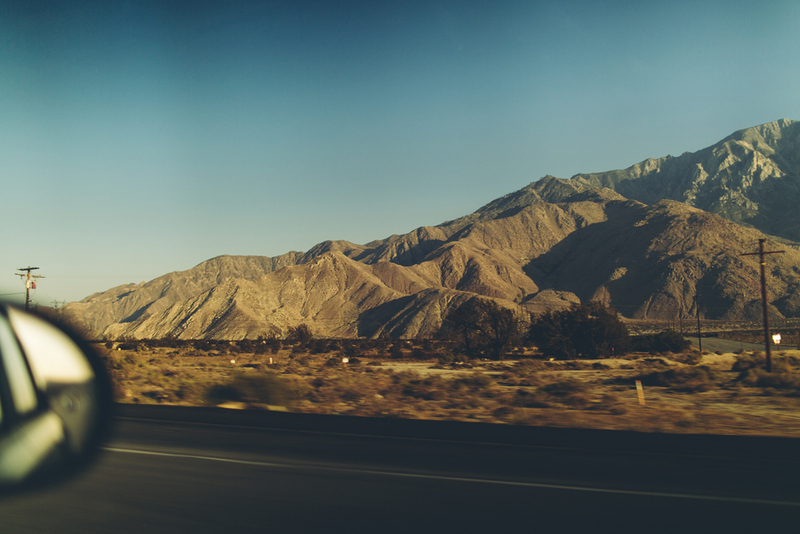 That when we first started to see the span of the desert and the mountains and nothing else, that I had to pull over to soak it all in. 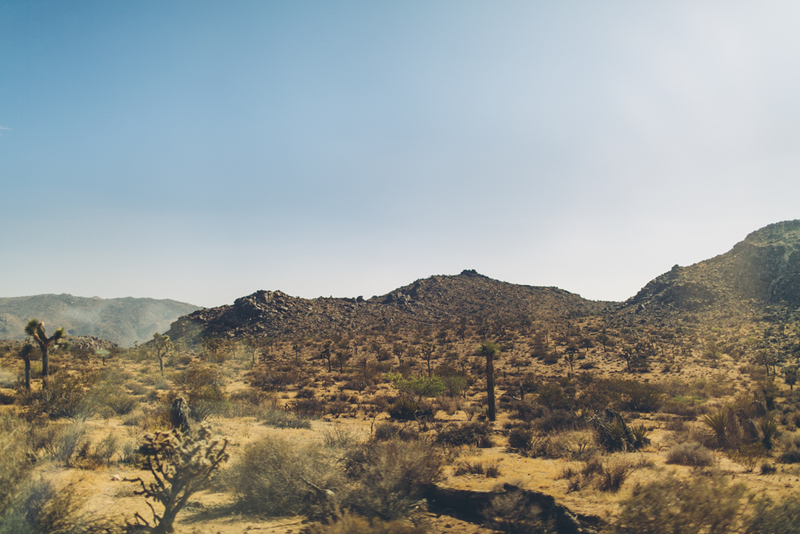 Or that when I first got out of the car the realness of being in the desert sunk in, the heat was like no other heat I’ve experienced before and I could taste the dustiness of the air every time I breathed in. Or maybe it was that we arrived at our home in the desert in the almost-dark and didn’t get to realise where I was until I woke up at 5 in the morning to watch the sun rise, all the while hearing coyotes howl in the not-so-far distance and watching the jack rabbits and chipmunks come to life when it was cool at night. Visiting Joshua Tree has been on the top of my bucket list for as long as I can remember. I have always wanted to visit the desert, see the sunrise, watch the stars and just be in this beautiful place. We left New York on the 4th of July, dragging our feet during the long lines at the airport on two hours of sleep. 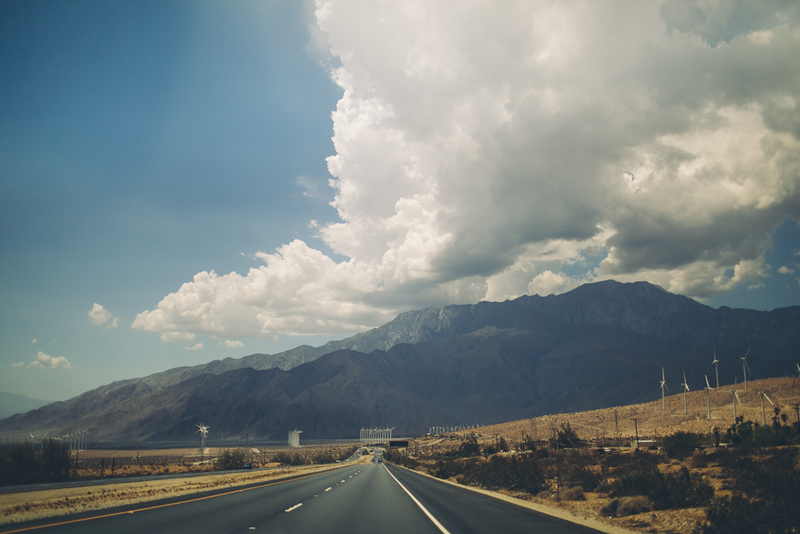 When we landed in Los Angeles, we tetris-packed our rental car with all our luggage and headed off on our roadtrip to Joshua Tree. I drove the entire way there as it’s something I have always wanted to do. The longer we drove the more the city and suburbs disappeared into a dust storm. We took a few wrong turns and missed exits, but we finally got to our first destination in one piece - the world’s biggest dinosaur in Cabazon. It was here that I got my first sense that I was really doing this, that I was really headed towards where I have always wanted to go. The heat was relentless and almost suffocating. But I couldn’t wipe the smile off my face. We headed off for the next leg of our trip. 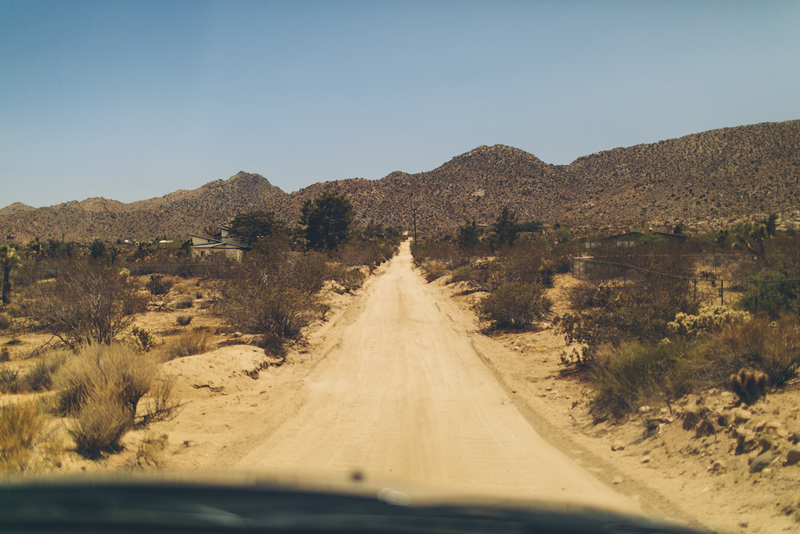 By this point we were passing Palm Springs, entering Yucca Valley and the roads look just like they do in the movies. Sam was filming and taking photos for me because the views were incredible and I didn’t want to forget a single moment. The road winds and turns and we drove towards and through the mountain until we ended up in the town of Joshua Tree. We pulled over on the side of the road to take photos with the setting sun, dust flying around us with every car that zoomed past while we were wandering. The paved road eventually stops and turns into a dirt road along the way to our house. We drive up a small hill and our home is waiting for us. It is an incredible place with an amazing view and big windows to see it all. We unpack our things, take billions of photos in the last light of the day and make a quick dinner. I still can’t believe I am here. I fall asleep as soon as my head hits the pillow. Another three hour night of sleep and I am woken by Sam grabbing my arm, who was woken by Nat to see the sunrise. As soon as I opened my eyes and saw the amazing colours brewing in the sky, I jumped out of bed and grabbed my camera to sit outside. All we could hear were small sounds of wildlife as we stared at the vast, purple tinted openness in front of us. With no sounds other than a bird whistling a little tune, I watched the sun rise over the mountains in the distance. Something I have always wanted to experience. The sun was already warm as soon as it trickled over my skin. By the time our house was in the sunshine by 7am, it was 31°C. Joshua Tree is amazing in the summer. We had a couple of recommendations from locals that we started conversations with that it's better to come in October (when the park is busiest) beacuse the days are warm and the night cools your skin. But we loved it in the summer. We had time to laze around guiltlessly during the day in our beautiful home, we went for hikes in the afternoon in the setting sun and the nights were cold enough to make you forget how hot it was during the day when you'd take out your favourite jumper to snuggle in while watching the shooting stars. 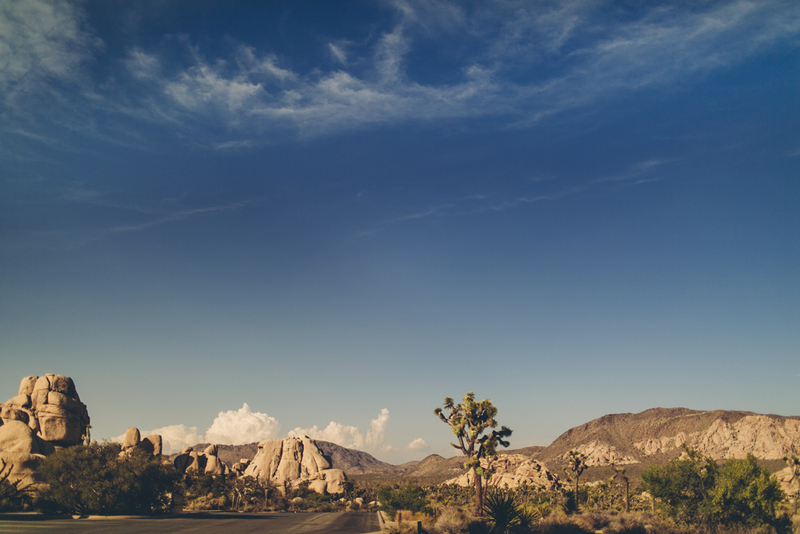 In the summer Joshua Tree National Park and the town is so lovelily empty. It felt like we had the whole world to ourselves. I will never forget my time in Joshua Tree. Hiking through the desert, seeing the wildlife, spending my birthday there, feeling so small in a place so big. I remember so fondly the drives back to our home after being in the National Park all afternoon. The sky a dim marvel of subtle colours and the car headlights twinkling in the distance like stars. Experiencing my first sunset in the desert. 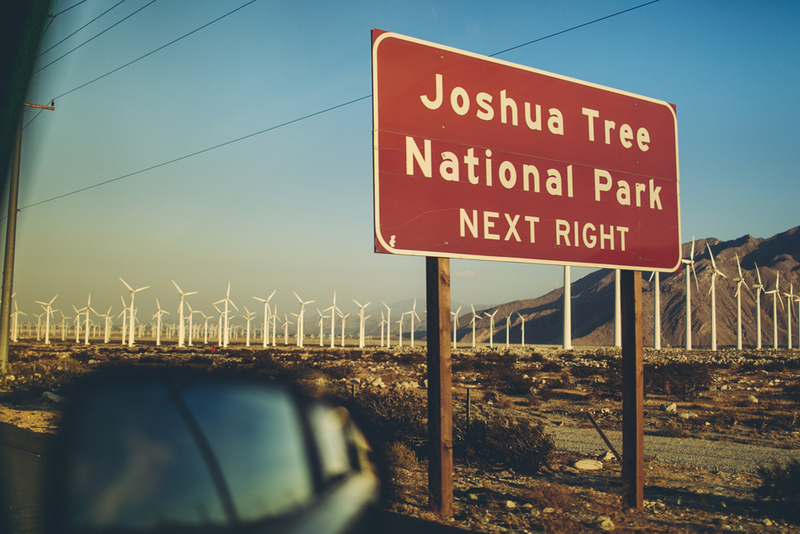 The drive from Los Angeles to Joshua Tree. Seeing little snippets of Joshua Tree for the first time. Our cute AirBnb rental property - a little pink house in the middle of the desert. This was our little lizard friend, who we think was dopey from the heat but would always hang out with us when we were outdoors. Planning on where to go exploring in Joshua Tree National Park. The heat was too intense during the day so we had to wait until the afternoon to go hiking. I would stare out the car window in awe as we drove through the National Park. Spending early mornings filling in words for my travel journal and flicking through my polaroids after watching the sunrise. 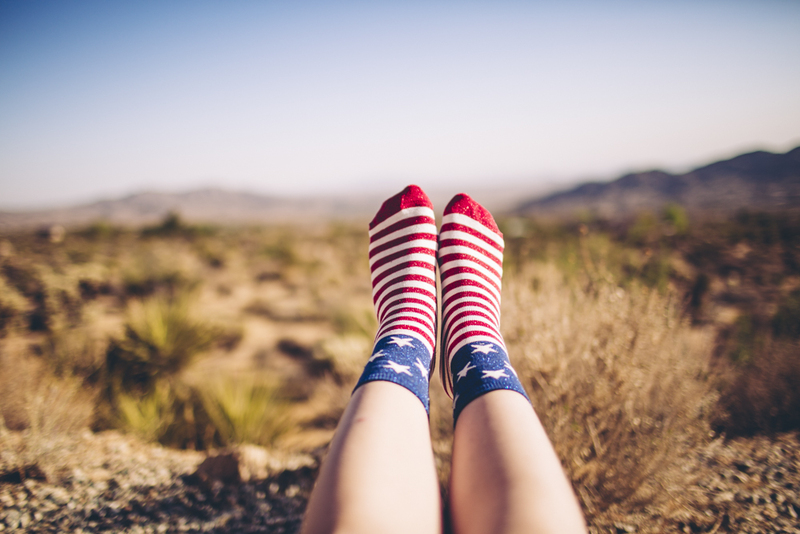 Celebrating the 4th of july in the desert. Our AirBnb house had gorgeous windows which spanned from the ceiling to the floor - perfect for gazing out to watch the clouds and animals scurrying around in the bushes when it was too hot to go outside during the day. My friends and I were all obsessed with seeing squirrels around New York, we couldn't believe how cute a chipmunk was when we saw three of them running across the road! Pulling over on the side of the road to take pictures at sunset. We barely saw another car or other people - it felt like we were at Joshua Tree all by ourselves. There was a hike with desert flowers we wanted to do, but just as we were about to get out the car we realise the were HUNDREDS of bees surrounding us. We sat inside the car looking at them in disbelief (taking pictures of course) and we unfortunately missed out on this hike. Maybe next time! 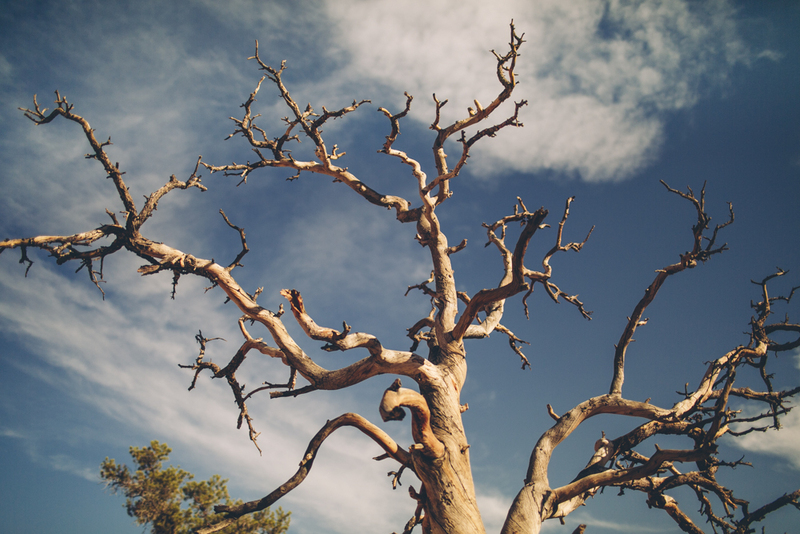 all photos edited with my new joshua tree lightroom preset!